Perfect World Entretainment with Neverwinter offer to F2P.com 100 codes for Spacial Edution Cloak only for PC. We will do a raffle, we will add 300 codes and only 100 winners will see the code, the others users don't win can see "You don’t win". The codes are valid until the end of December 2018. Step 2.Complete the captcha, then add your email to the field above (beside the “Get Your Key” button). You can only sign up once for this giveaway. If it's the first time you use our system please check your email to validate it and add again the same mail in the field above. Step 3. 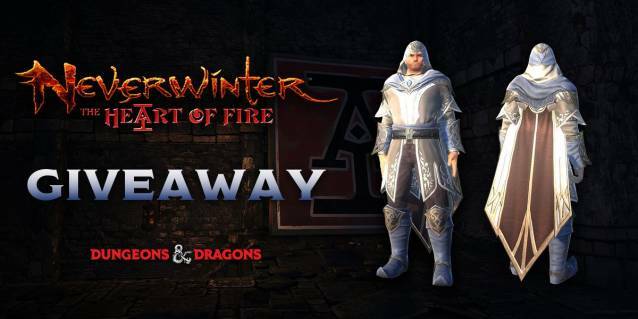 Sign-in to your Neverwinter account or register for an account Neverwinter Once registered or if you have an account, sign in. Step 4. Redeem page Click the Arc symbol at the top left. Step 5. Click "Redeem a Code" and enter your code and launch the game and complete the Tutorial. Step 6. Visit the Rewards Claim Agent in Protector's Enclave to claim your gift! Only eligible for the PC version of Neverwinter. Please note that these items are Bind on Pickup and may only be redeemed once per account. 4 Comments - "Neverwinter’s Special Edition Cloak Keys"
What does it mean when you type your email addy in and it says Use Whitelisted Email Contact us?? Judy now you can use your email, we need to accept some domains, we just add yours.